I'm on the hunt for some recordings of Tchaikovsky's Manfred Symphony. I currently have Svetlanov, Abravanel and Jurowski. Have heard great things about the Muti, Chailly and Ashkenazy. Am I missing any names? I will argue with you that Bizet's "Roma" symphony is more tuneful than Tchaikovsky's Manfred Symphony. Yeah but Bizet doesn't pack a punch like T.
I have Muti, Chailly and Jansons and love them all, but I'm sure there are other fine versions. I haven't heard any of these in quite some time so I couldn't do an "A-B-C" comparison at the moment, but I do recall being quite satisfied with each. I particularly like the Chailly, less so Muti. Don't know Ashkenazy but my guess is that his would be good, too. I have Pletnev/RNO - very powerful and very well recorded. Demonstration class methinks. Just put it on now, sounds absolutely glorious! I have no interest in arguing or any current interest in Bizet. I somehow do not like Pletnev as a musician - his style is Pollini-like, chiselled and not warm - sounds like he does not warmly embrace the music that he is playing. I agree, but do like the 'chiselled' types (Pollini etc.). 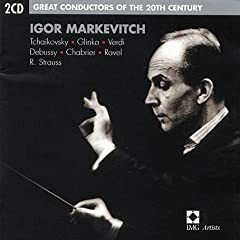 I would say however that I don't think this is your typical Pletnev, with shades more romance and warmth than other recordings. My preferred version is the one of Muti with the Philharmonia, with a perfect articulation, splendid dynamic and avoiding too much "pathos". I would prefer Kletzki if he didn't cut parts of the work. 2nd hand, from a KL based violinist who used to play in the CBSO. I am not in love with Chailly. Too much (especially during the middle of the first movement) it sounds like he is on auto-pilot. Does pack a punch in the finale though. Is this with Indy SO? They made a number of excellent recordings (RVW Antartica, Schubert 3 & Grand Duo, Schumann etc.). Vastly underrated orchestra and conductor. Has anyone heard this Manfred? Very lucky - I should have grabbed it in a shop here but alas, did not do so. Is the violinist Malaysian - Ying Yuen, by any chance? The version I have of Muti with the Philharmonia is an EMI Classics edition from 1993 (the recording was made in 1982). Yes it is YY. He teaches at Sedaya College and i got it from him when i studied there. I will be leaving to the Yong Siew Toh Conservatory in August.